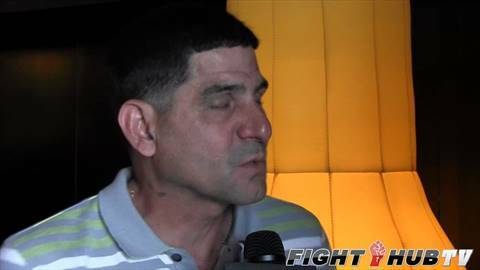 Angel Garcia "He is over rated man! come on!" For more log onto http://www.fighthubtv.com Like us:http://on.fb.me/xWRC1f follow us:http://bit.ly/wACkIv videos uploaded daily! Subscribe: http://goo.gl/vnzIb Angel Garcia, the father of Danny Garcia feels Amir Khan is over rated and speaks to Marcos Villegas on his son's fight with Amir Khan.